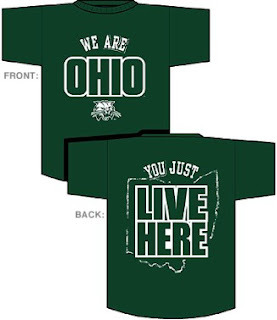 Don't feel like driving out to Lakewood to watch the OU-OSU game with other Bobcats? Head up to the Purple Shamrock in Willowick! Start early with kegs & eggs at 9 a.m. The game starts at noon. Call or e-mail Andrew Banc: 216-534-5754; andrew_banc@hotmail.com. Join fellow fans at the Harry Buffalo in Lakewood on Saturday, September 18, to watch your OHIO BOBCATS face the Buckeyes in the Horseshoe. Drink specials include some of your Athens favorites, like Junction Punch and Black Widow. We're starting the party at 11 a.m. in the basement pub. Kickoff is at noon. We had more than 100 alumni pack the place for round 2 of the NCAA tournament, so you may want to come early! Visit ClevelandBobcats.com for more details. Going to Columbus that weekend? Visit OhioAlumni.org for information about events in Columbus during OU-OSU weekend, including Friday's pre-game party at the Lodge Bar and Saturday's official OU Alumni Association game watch party. Be sure to stock up on your green and white gear . . .